The world's second-richest man, Microsoft founder Bill Gates, was a major Irish bank bondholder ahead of the financial collapse that saw the taxpayer put on the hook for the €64bn bank bailout. Gates was a bondholder in Anglo Irish Bank, Irish Nationwide Building Society, Bank of Ireland and Allied Irish Bank, according to filings seen by the Sunday Independent. The filings detail investments held by Gates' Bill and Melinda Gates Foundation. The identities of wealthy bondholders in the Irish banks, bailed out in most cases by Irish citizens, have never been revealed fully. Billionaire Chelsea owner Roman Abramovich emerged as a bondholder in Irish Nationwide after his investment vehicle Millhouse was involved in a UK lawsuit in which it tried to extract full payment for its bonds in the building society as part of a tender offer. Abramovich and his partners lost, but many other bondholders were repaid in full despite backing bust banks. German and French banks were the largest holders of Irish bank bonds. Pressure from the ECB and US Treasury Secretary Tim Geithner on Ireland not to burn senior bondholders saw those French and German banks repaid when the Irish banks hit the skids. Some junior bondholders were burnt. Filings show that the Gates Foundation trust held more than $34.6m (€26.7m) worth of bonds in Irish banks at the end of 2006. This included 7.29 million bonds in Anglo Irish and associated entities, which it valued at nearly $10.6m (€8.15m). The trust also listed a holding of 1.34 million Irish Nationwide bonds worth €2.02m. It also owned Bank of Ireland and Bank of Ireland (UK) bonds worth more than €7.7m as well as more than €5.54m in AIB bonds. 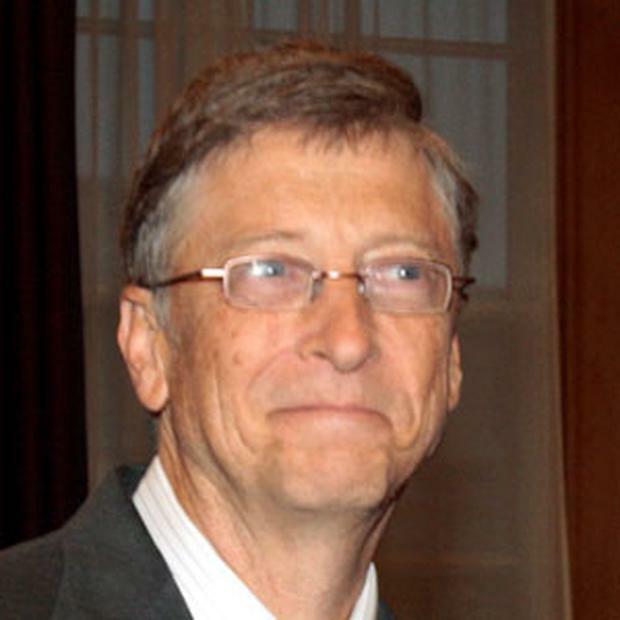 The Gates Foundation trust owned Irish bank bonds worth more than $20m (€16m) at the end of 2007. Its holding in Irish Nationwide Building Society bonds increased slightly in value to €2.05m. The trust also held 1.86 million bonds in Anglo Irish Asset Finance, which were valued at €3.52m, and €2.72m worth of Anglo Irish Bank Corporation bonds. The total value of the holdings in Anglo were down by almost €1.92m over the year. The investments also included about €1.41m of bonds in AIB UK, another 2.5 million Irish Life & Permanent bonds valued at €2.81m and €3.02m worth of Bank of Ireland (UK) bonds. The Bill and Melinda Gates Foundation did not comment last week. The Gates Foundation, based in Seattle, is the largest private endowment fund in the world, with about €28bn in its coffers for good causes. The primary aims of the foundation are, "globally, to enhance healthcare and reduce extreme poverty, and in America, to expand educational opportunities and access to information technology". The foundation is also backed by the 'Sage of Omaha' Warren Buffett – another of the world's richest men. In 2006, Buffett donated €1.2bn worth of shares in his Berkshire Hathaway group to the foundation. The charitable trust invests the money and assets that it has not yet distributed or earmarked for grants, holding stakes in listed companies and in corporate and sovereign bonds as well as foreign exchange trading. Most recent regulatory filings for 2011 show that the Gates Foundation owned nearly 99 million shares in Bank of Ireland, which would be worth about €17m at current prices. The foundation also held 26,411 shares in bookmaker Paddy Power, worth €1.63m at current prices and about €20,000 worth of shares in Independent News & Media.